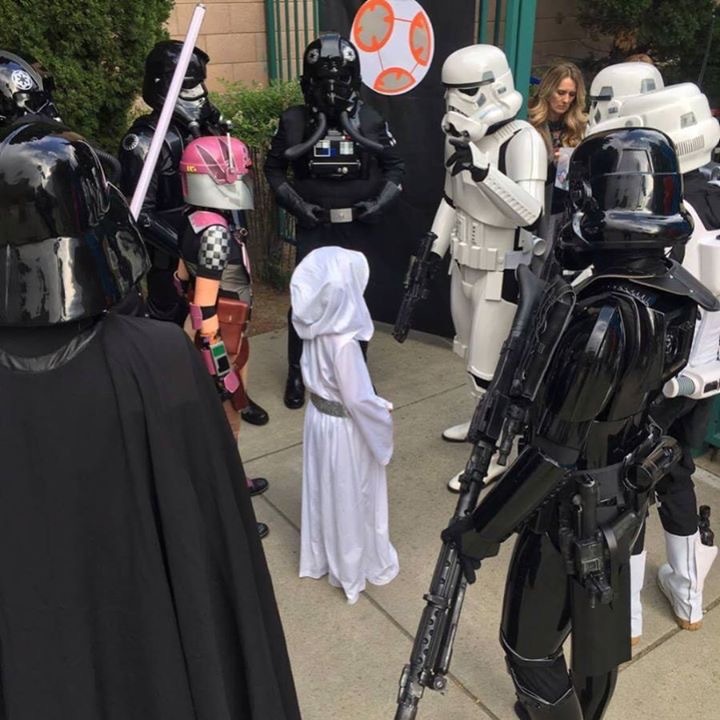 This fun small troop was right around the corner so I could walk over in my Officers uniform. 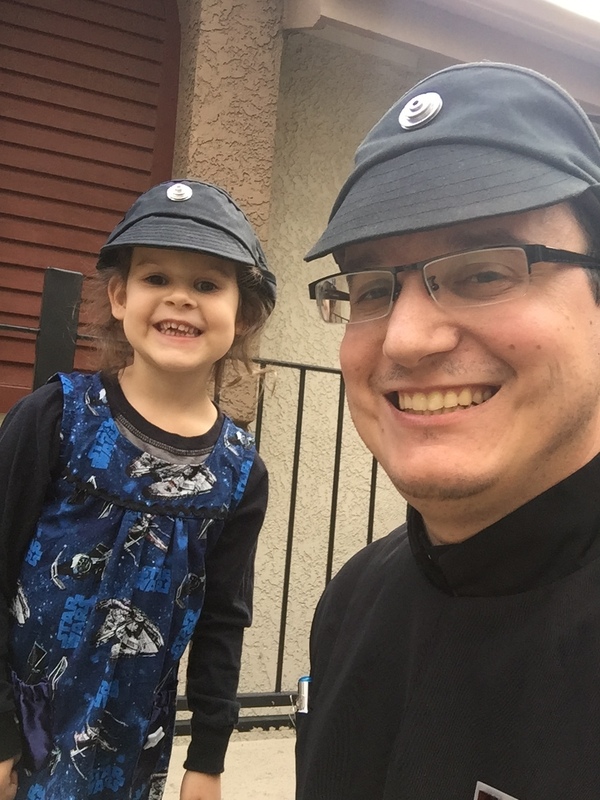 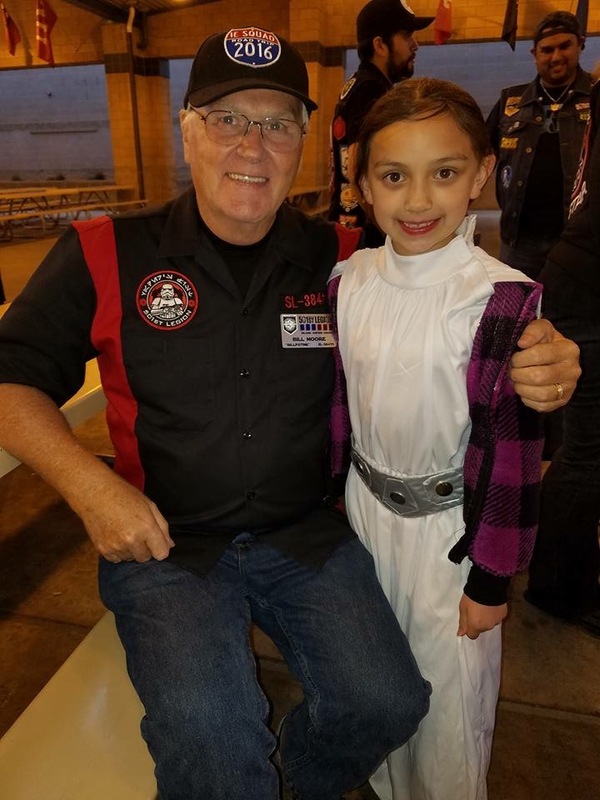 My little Imperial came along with me and helped keep an eye on all of those armored troopers. 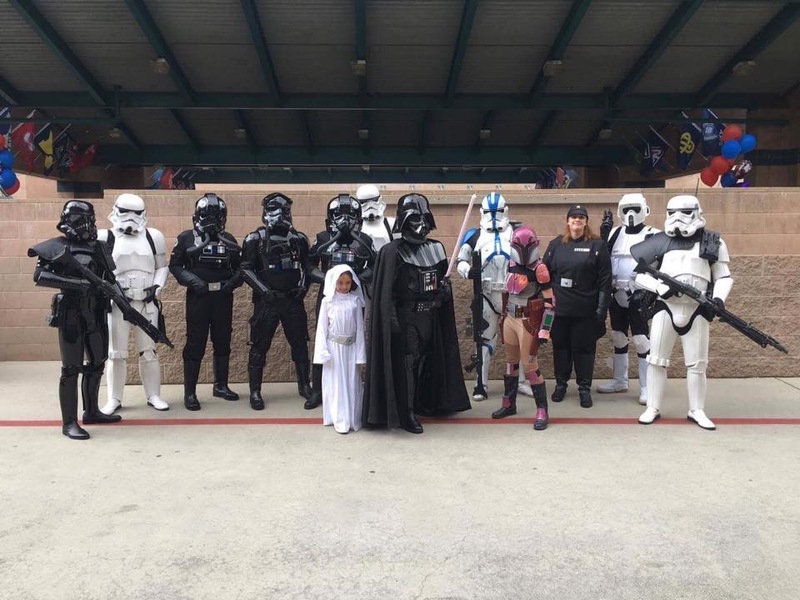 The students of Ruth Musser middle school were very excited to have Star Wars characters at their event.